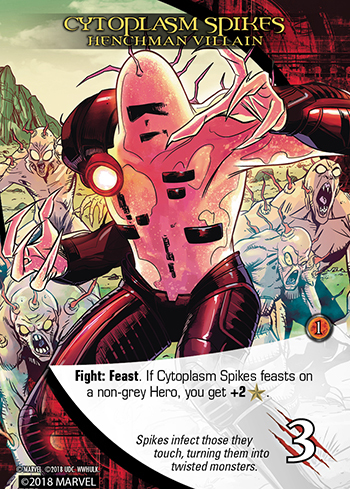 For our final card preview of Legendary®: World War Hulk we’ve reached back into past expansions and brought forward some of the strongest and deadliest keywords and cards that players have faced. 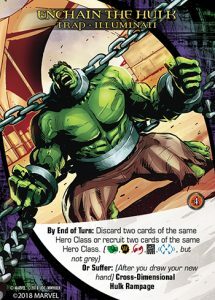 As different Hulks rampage across planets and dimensions, only another Hulk can stop them! 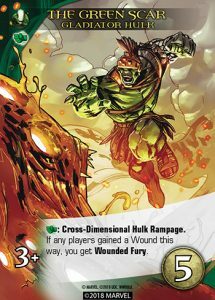 Cross-Dimensional Hulk Rampage debuted in Legendary®: Secret Wars Vol. 1. You can reveal any card that includes the word “Hulk” in its card name, Hero name, Villain Group name, or Tactics for Hulk Masterminds. This includes any Red Hulk, She-Hulk, Red She-Hulk, Skaar – Son of Hulk, Joe Fixit – Grey Hulk, Hulkling, Hulk Gang, Cosmic Hulk Robot, Hulkbuster, Enchain the Hulk Trap, and so on. 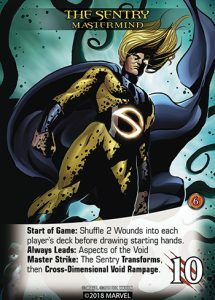 “Nul, Breaker of Worlds” from Fear Itself and “Maestro” (core set) count as Hulks for this. 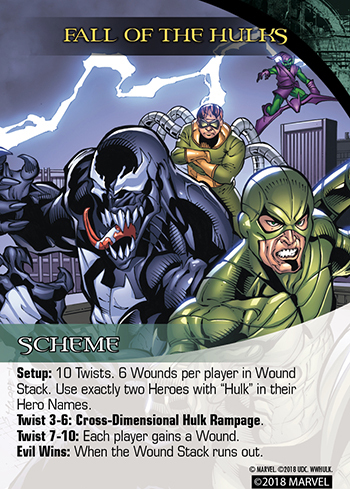 Some Heroes in this set can transform into Hulks, like Bruce Banner and Amadeus Cho. 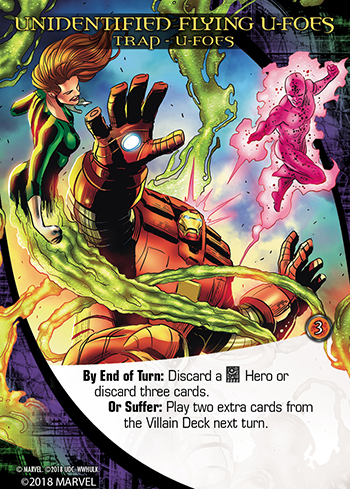 A puny “Bruce Banner” card doesn’t say “Hulk” on it, so it can’t stop a Hulk Rampage. But revealing the transformed Bruce Banner card named “Savage Hulk Unleashed” works. 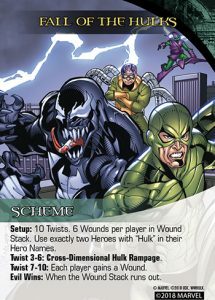 When a Cross-Dimensional Hulk Rampage happens, you can choose to gain the Wound, even if you have a Hulk that you already played or could otherwise reveal. You might want the Wound if you have Wounded Fury cards. There are also Cross-Dimensional Void Rampages, etc. Some alien monsters from the Planet Sakaar and beyond use the gruesome Feast keyword, which debuted in Legendary®: Paint the Town Red. Enemies that can’t beat Hulks with raw strength often try to trap them instead. 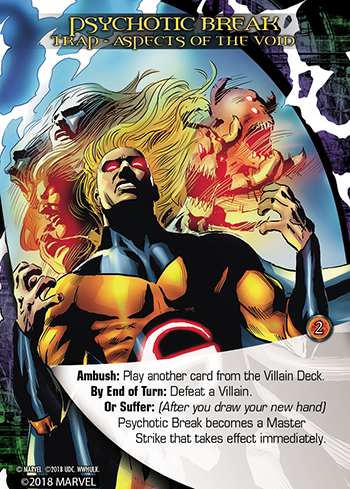 World War Hulk features an additional card type that debuted in the Legendary® X-Men set: Traps. 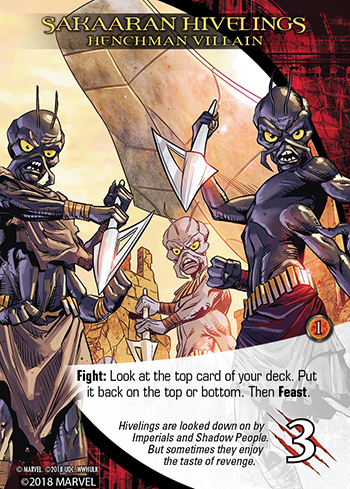 Each Villain Group in this set has a Trap. 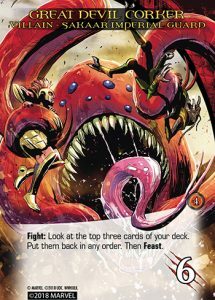 When a Trap is played from the Villain Deck, it gives you a challenge to complete this turn to avoid the Trap. If you complete the challenge, put the Trap in your Victory Pile and get its VP. Traps don’t push forward Villains in the city. We hope you enjoyed our previews of Legendary®: World War Hulk. 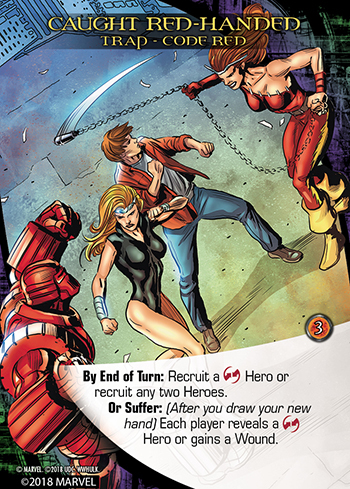 Join us this Fall when we go from the biggest heroes to the smallest. Legendary®: World War Hulk smashes into stores this June.